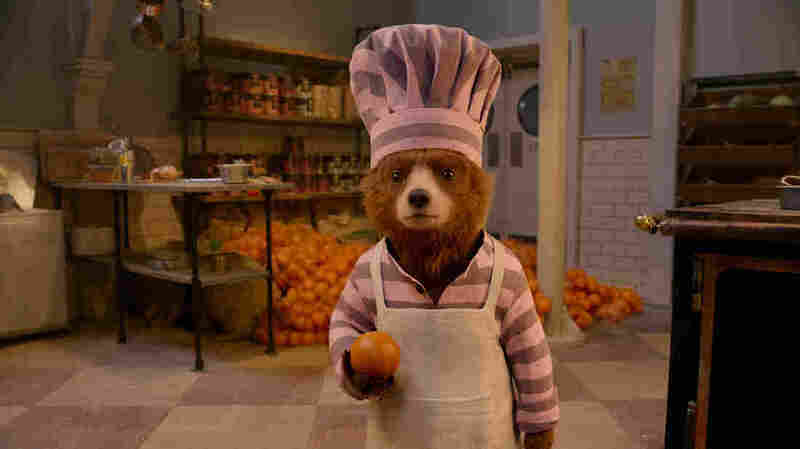 Pop Culture Happy Hour: The Sweet (But Not Too Sweet) Appeal Of 'Paddington' At last, we take a deep, overdue dive into the sweet, tangy jars of emotional marmalade that are the Paddington films. Wee Ol' Teddy, Marmalade: Ben Whishaw voices the perpetually well-meaning bear in Paddington 2. The first movie, in which Ben Whishaw voices an animated bear who travels from Darkest Peru to London to look for a home, hit theaters in 2014. Paddington 2 came out last year, and now that both films can be found on a variety of streaming services, we decided it was high time to catch up, and grapple with just what it is that makes them so damn charming. Linda will be back on Friday to lead us — me, Stephen and the wonderful Bim Adewunmi — in a discussion of Ocean's 8.